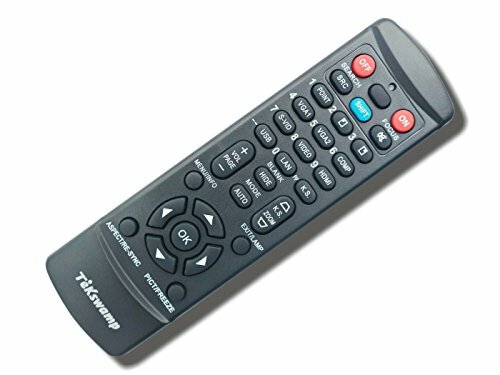 This remote is compatible only with the model listed above. No additional programming is required. The remote provides most of the original commands for your device. It is guaranteed to turn the device on and off, give access to and navigate the menu, choose input signal. Some specific functions, such as page flip, keystone correction, video adjustment and numbers are normally available but in rare cases may not work properly with some devices. No laser pointer is available. Remote requires two AAA batteries (not included).